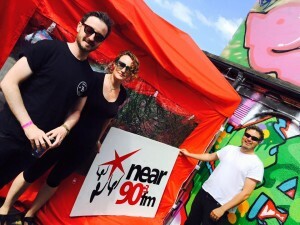 Near FM attended the Block T 5th Birthday celebrations in the Tivoli Grounds on Saturday July 4th. Legendary Irish house DJ Aoife Ni Canna presents a programme featuring interviews and music with Block T Managing Director Laura Garbataviciute-Dovn and Programme Director Grace McEvoy as well as musicians and DJ’s Bantum, Hauer, Adult Rock, Nialler 9, Rob Farfer, Nova Collective and Benny Smiles. Programme produced and editied by Aoife Nic Canna. Recordings made by Aoife Nic Canna, Paul Loughran and Dorothee Meyer Holtkamp.